Just a day ahead of the new Samsung Galaxy S10 line up launch on February 20. We have just got to see the first official Samsung Galaxy S10, S10+ product video, which reveals almost everything about the device, except for the price. The new Galaxy S10, S10+ product video appears to be taken from Chinese social media site Weibo and later uploaded to YouTube. Samsung on Februray20 is set to launch its three device Galaxy S10 devices which include the Galaxy S10, S10e, and the Galaxy S10+. The new product video reveals that the Galaxy S10 and S10+ will be the most powerful Samsung devices ever. The video shows that the Galaxy S10 will be powered by Samsung’s own Exynos 9820 processors, which it usually uses for the Chinese and the Indian market. The US and some other Europian countries will get the Snapdragon 855 version of the Galaxy S10. The video also reveals that the Galaxy S10 users will be able to stream and view 4K HDR movies and even 8K videos. Users will also get a lag-free immersive gaming experience on the Galaxy S10 and S10+. The bigger Galaxy S10+ will feature a 6.4-inch super AMOLED infinity HDR display. While the Galaxy S10 will come with 6.1-inch and S10e with a 5.8-inch display with similar display features. Notably, all the three devices will also be the first Samsung devices to feature and in-display fingerprint sensor. 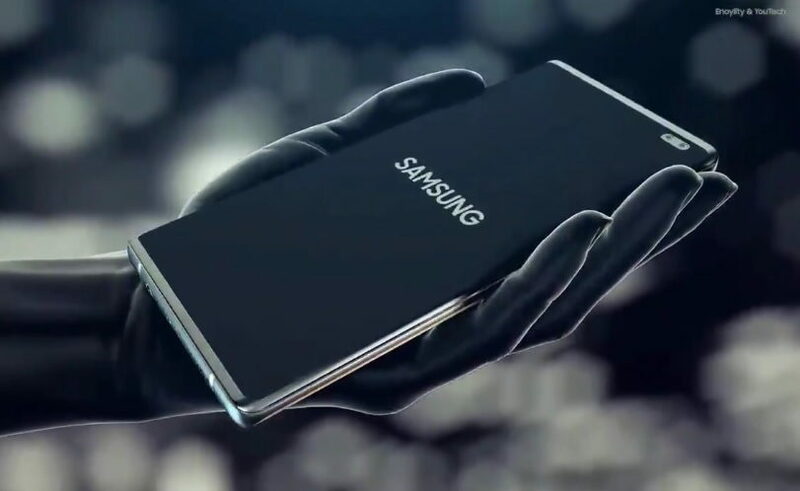 Samsung is also expected to launch its first Galaxy Fold (Galaxy F) smartphone at the same event. Check out the Video above and don’t forget to subscribe to our Twitter, Instagram and Facebook page. As will be updating you with the unveiling of the Samsung Galaxy S10, S10e and the S10+ on February 20.